Wine Tasting at The Loft Wine Bar! WINE EDUCATION WEDNESDAY! THIS Wednesday, March 5! 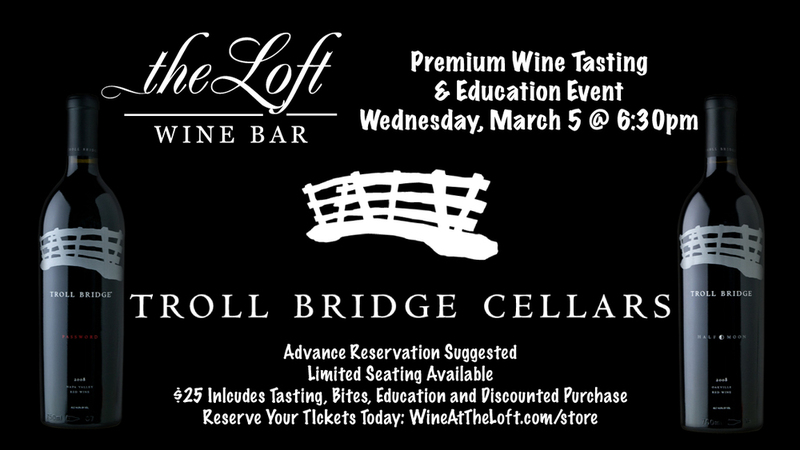 Allan Ezial, owner of Troll Bridge Cellars will be at The Loft Wine Bar in Benicia to share his wine knowledge and delicious Napa Valley wines! Event starts at 6:30pm! Tickets are $25 each. We're Pouring at the Rooster's Food & Wine Celebration!